Situated at the heart of Hanoi's historical Old Quarter, Queen Star Hotel is a luxurious boutique hotel that offers elegant rooms with views of the city. 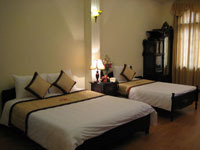 Just a short stroll away from the famous Hoan Kiem Lake and Thang Long Water Puppet Theatre, rooms offered are classically decorated with wooden interiors. 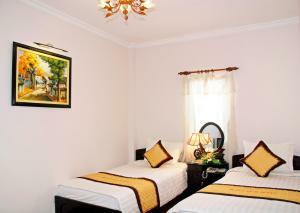 They are also fitted with modern facilities that include an en-suite bathroom with bathtub and Wi-Fi internet access. Queen Star Hotel's friendly staff will be glad to advise you on the local places of interest and help with any travel arrangements you need made. 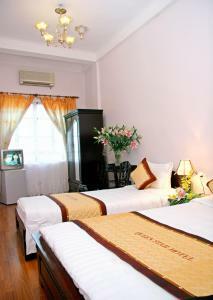 All rooms include Vietnamese breakfast and/or Western breakfast and ADSL internet access is free 24h for guests staying in the hotel. HALF PRICE TAXI PICK UP AT AIPORT IF YOU BOOK OVER 3 NIGHTS. Free: Tea and coffee, lemon juice and/or water melon juice all day. Free: Luggage storage during the period of time of your travel. Free: Taxi pick up at Train Station , Bus Station... (to help you avoid being over charged by local taxi driver). 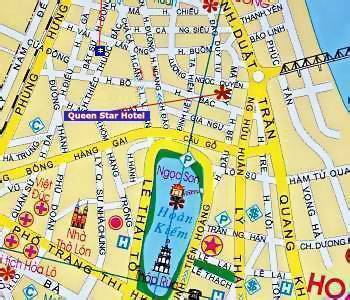 From Queen Star Hotel to Hoan Kiem Lake just 3 minutes by walk. 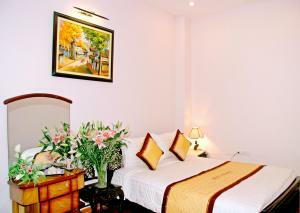 From Hanoi International Airport to Queen Star hotel just 30 Km with 45 minutes by Car or Taxi. 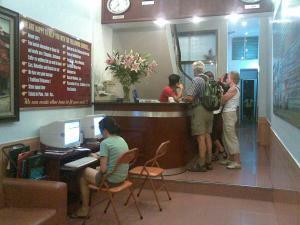 Our hotel also has a Travel Agency ( Travel Office ) that can arrange many tours around Hanoi, Hue and to the north of Vietnam, like Ha Long bay, Sa Pa, Transport to the south, and to anywhere around the world. We can also book trains/air tickets, buses to Laos and a multi-stop open bus from Ha Noi to Hue / Hoi An / Nha Trang/ Da Lat or Mui Ne / Sai Gon, plus Russian Jeep, motorbike, and bicycle rental and arrange visas to Laos, Cambodia, and can extend your Vietnamese visa .